70 fires and 3 explosions occurred in Massachusetts’ Merrimack Valley on September 13th, 2018. A preliminary report by the National Transportation Safety Board pinpoints a likely cause: the release of high-pressure gas into a low pressure distribution system in northeastern Merrimack Valley. A map of the reports Massachusetts State Police received as of 4:25pm on September 13, 2018. 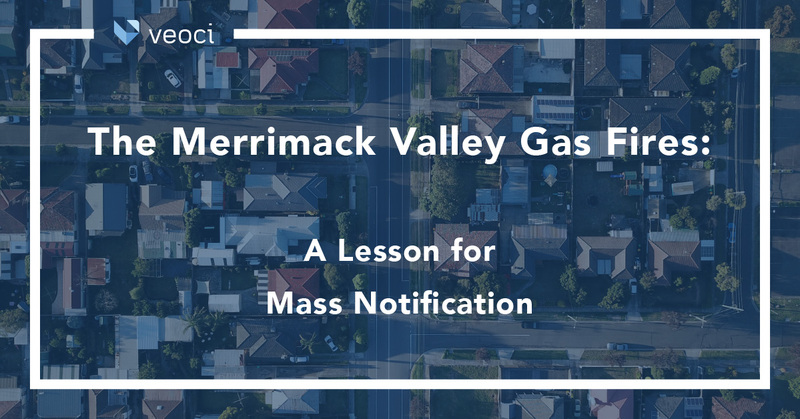 Natural gas leaks are extremely dangerous, especially in urban and suburban areas like Merrimack Valley. Residents of North Andover, Andover, and Lawrence, MA, were urged to evacuate by officials when the situation became clear. Over two dozen citizens were injured in the fires however, and one man was killed by a collapsing structure. Considering the volatility of gas leaks, evacuation became the top priority, and notifications went out. Residents in the area, though, were concerned that they weren’t told enough in order to safeguard themselves in the meantime. Power was cut off for many of of Merrimack Valley’s residents to prevent more fires and explosions. But when the the power went out, landline phones went dark as well. Active landlines still received voicemail notifications, but those mostly went unheard. And mobile users weren’t guaranteed to receive notifications either since it required registration. Those who did receive notifications via text weren’t given the total picture, however. The text notification was incomplete; residents in the area say the message only urged those in the small city, Lawrence, to evacuate. Both North Andover and Andover weren’t mentioned in the message, an unfortunate oversight given how much damage happened in North Andover and Andover from the fires. As well, some say the notifications should have included warnings about what daily activities to avoid in light of the leaks, especially those involving sparks or fire. To state the obvious, smartphones are ubiquitous. At heart, they are personal communication tools, and offer an incredibly straightforward way to reach out to people. Leveraging them as a method of alerting citizens about emergencies is coming into its own, but isn’t as widespread as it should be. 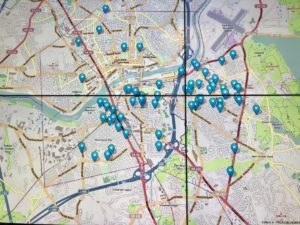 Having a solid process and tool to send out the right message at the right time would have alerted more Merrimack Valley residents with information focused on their safety. Push notifications provide an alternative to voice calls, which often aren’t answered, especially when coming from an unfamiliar number. As events progress, officials can provide new information at a glance, links to vital information, or instructions to residents. However there is one downside to this path: at the state and local level, receiving these alerts requires registration. 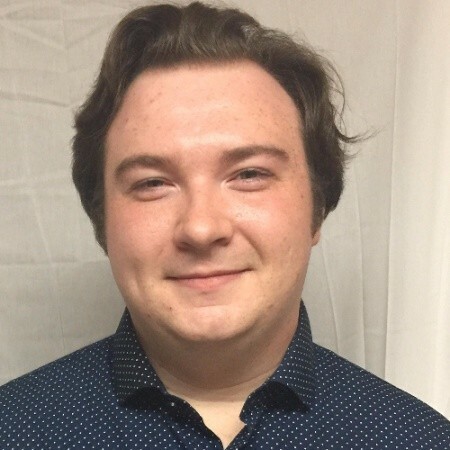 Unlike IPAWS, which is the national alert system run at the federal level, local jurisdictions need to engage in regular campaigns to urge citizens to opt in. An emergency notification system won’t have much impact if no one elects to use it. Gathering data, finding out who is opted in and who isn’t, factoring in population densities, cell coverage, and updating and auditing everything on a regular basis is the best way to keep the public better prepared for future disasters. Emergency response needs to be as streamlined as possible. Part of that is adopting anything that gives your team an advantage. Modern technology provides emergency responders an abundance of amazingly useful tools. And when those tools are utilized properly, they make a significant impact on the overall outcome. In Merrimack Valley, those who were in danger are now safe, though thousands are unable to return to their homes as workers continue to replace 6,100 service lines. The community will continue to rebuild and officials will look further into the exact cause of this disaster. One lesson that has been hopefully learned is that keeping the citizenry alerted and well-informed via the latest communications technology isn’t just an option, it’s a requirement. See our mass notification solution today. We offer solutions across several different industries. Find the solution your organization needs today.